What type of edit do I need? 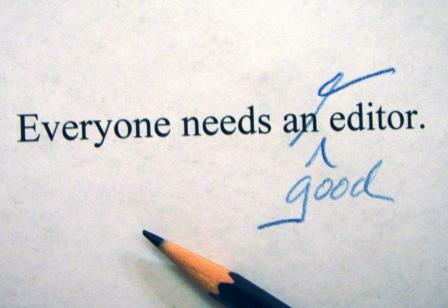 You need an editor, but what type of edit are you seeking? There’s a lack of knowledge about editing , particularly among new writers, and it can have a huge impact on your work. Let me give you an overview of the different types of edits, just in case you are considering having someone go over your manuscript or other piece of writing. This covers the basics, to include spelling, typos, punctuation, and grammar. It may also cover word usage, style, and jargon. A good editor can usually accomplish this task within three business days. Sometimes, copy editing is referred to as proofreading. This form checks for sentence clarity, overuse of adverbs and adjectives, run-on sentences, opening words of paragraphs and sentences. Line editing also checks consistency of chapter titles, names, titles, etc. Your manuscript is examined line by line, and line editing is the most common editing request. This editing is the most exhaustive examination of your manuscript. It will include rewriting, moving blocks of text from one section to another, looking at structure, logical consistency, and organization. This form also looks at POV, plot, and readability. Since changes may sometimes be major, turnaround times are negotiable, and generally, one revision is included at no extra charge. Great reminder! As I work more on my editing skills, I think I’m the best at line by line. But knowing all forms is important too!